The 5th installment in my 2009 Scarce Earth Project McLaren Vale Shiraz wine tasting ( there is still more to go). From the foothills vineyard this wine has been a pert of the Penny’s Hill range for a few years. This 2009 offering starts with a mixture of spices, cedar and plums. As expected from the Scarce Earth wines there is depth and strength here. Flavors of plums and cedary oak and that McLaren Vale mid pallatte showing strength. The tannins are not over done and I found the good acid providing assistance to the lengthy finish. I have not had the Cracker Barrels Shiraz before and I was able to taste both the 2007 and 2009 version. Interestingly the wines could not really have been more different. The rationale for choosing the wine for this label is to find those couple of barrels of wine that are just superior to the others and really impresses the wine making team. Thus the view is to get the best wine into this label and not to provide a consistent style. 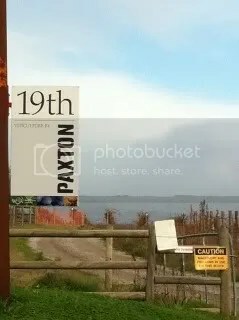 The 2009 wine is from the 19th Vineyard (see photo) on Seaview road, near Olivers Vineyards. Vineyard is double cordon trellised, biodynamic practices with a wild yeast ferment. 100% American oak for 22 months and bottles in March. Aromas of smokey peat (maybe from the sandy soils) wonderful shiraz fruit that has that real plum swing. The flavors shows so much. Coconut character from the oak, the same smokey peat and plums. Then black fruits kick in with such a balanced length to the wine. This wine really needs time and it really is only just starting to clam down after bottling. From the block below the winery complex this vineyard is on loam over limestone (from the Eocene Epoch and hence the wine’s name) was planted in 1953 and on it’s own root stocks. The aromas were very interesting with dark cherries and aniseed – not what I expected or had been experiencing from Scarce Earth Shiraz. The flavors can be described as black. Dark fruits (plum, blackberry and cherries) with balanced cedary oak with some lovely dark chocolate finish. Even though this wine needs a lot of time in the bottle to see it’s best, I really enjoyed this wine. 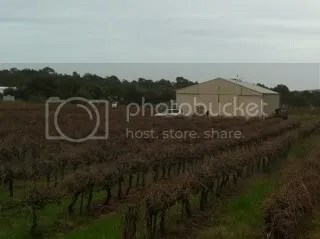 This entry was posted in Mclaren Vale, wine and tagged Australia, cellar door, Mclaren Vale, McLaren Vale Wine, Shiraz, wine, wine McLaren Vale. Bookmark the permalink.